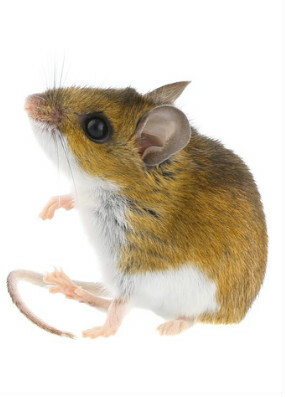 What Does a Deer Mouse Look Like? The deer mouse has large eyes and ears, white feet, typically white undersides, and brownish body fur. Their tails are sometimes as long as their body and, unlike other rodents, they don’t produce the typical “mousy odor”, which is usually a very strong musky smell. 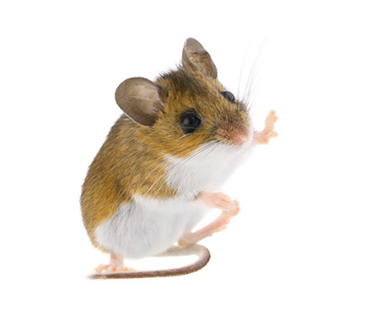 Deer mice are mostly nocturnal and have a home range of 1/3 to 4 acres or larger that they will roam for food and shelter. A summer population density may range as high as 15 mice per acre! To give perspective, it would mean that the area the size of Portland can home up to 1,392,000 deer mice. This is due to how quickly deer mice can reproduce in large numbers. The deer mouse mating seasons occurs from spring until fall, with a slowdown in the summer, but in warmer climates deer mice can produce year round. The gestation period is 21 to 23 days, and a couple is able to have 2 to 4 litters a year, with litter sizes range from 3 to 5 young. Deer mice usually mate together for life, so a single parenting pair is capable of producing 6 to 20 offspring in a single year. That’s a whole lot of babies! A couple will commonly live in a nest made of twigs, leaves, grass, and other accessible fibrous materials. They may also be lined with fur, feathers, or shredded cloth. Deer mice typically build their nests underground beneath roots of trees or shrubs, beneath logs, or will simply take up residency in another burrow made by another rodent. They’ve even been known to live in hollowed logs, fence posts, cupboards, and furniture of unoccupied buildings, making them an entire species of squatters. A deer mouse’s diet is primarily of seeds, and they’ll go for nuts, acorns, and other similar food sources. They’re also known to consume fruits, insects and insect larvae, fungi, and some green vegetation. Deer mice are also known to create food hoards in or near their nest sites when their food sources are in abundance, such as the fall. Chewed up upholstered furniture, mattresses, clothing, or paper (used for building their nests). Found cache of food supplies, such as acorns and seeds.